Welcome to the first of our Skyward Sword guides! 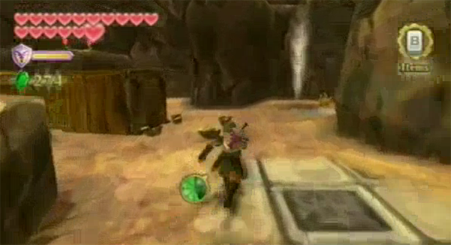 This guide tells you how to finish the Skyward Sword Crystal Ball quest. The reward for this quest is 5 gratitude crystals. 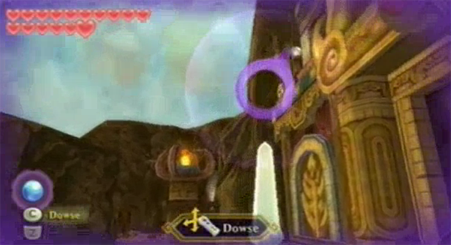 The Skyward Sword Crystal Ball quest is initiated after you seal The Imprisoned for the second time. Go to Skyloft and head to the fortune teller’s house (it’s to the far east side of the town). Talk to the fortune teller and he will tell you about his missing crystal ball. Next, equip the Clawshot and use it to travel over to the platform with the crystal ball on. Fi will appear, mentioning the fortune teller’s crystal ball and will get Scrapper to pick up the item. Now take the item back to the fortune teller and you’ve finished the Skyward Sword Crystal Ball quest! As usual, your reward will be five gratitude crystals.